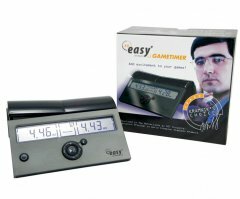 The chess clock, or game clock as it is better known (for its use is not limited to just the game of chess), is an essential piece of equipment for competition chess playing. 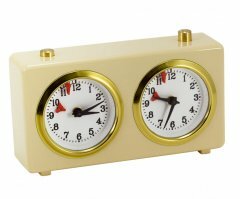 It consosts of two clocks mounted together with buttons to stop one clock and then start the other. Only one clock is running at a time. All two-player games where play takes place alternately would find the game clock a very useful addition to the game. 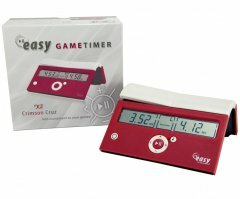 The purpose of the chess timer is to measure the time each person takes to make their moves and to limit the number of delays in the game. The game clock was first introduced to tournament chess in the 1883 London Tournament where it became better known as “the Chess Clock”. 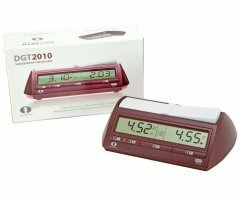 As with all clocks and watches, chess clocks come in analogue and digital formats. The analogue version has a flag that falls when a player’s time has expired. There is a button above each clock which when pressed stops one clock and starts the other. The digital chess clock was created in 1973 by Bruce Cheney an electrical engineering student at Cornell University, who was also a keen chess player. Although a fairly crude and cumbersome unit, it functioned well in maintaining accurate and matched timing. Time control in chess was enhanced in 1988 with a timing device developed by the chess champion Bobby Fischer. Fischer’s clock gave the players a fixed segment of time for each move, but then added a small amount of time after the move. This took pressure off the players to make a hasty move to avoid losing the game by playing over time. If the player’s move was well within the time the ‘grace’ time would accumulate for more difficult moves later in the game. The player would be, in effect, banking time. 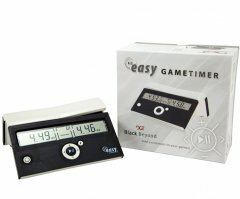 Fischer’s clock took time to catch on, but by 2004 the system had been well received and was being used in top class tournaments around the world. Fischer is one of the five types of time control methods in current use in chess clocks. The remaining four are Bronstein, Simple Delay, Game Word and Hour Glass. In the Bronstein chess timer, as in the Fischer, the increment is added, but after the move and the maximum increment is not always added. If a player moves faster than the time increment, only the precise playing time is added. As in Bronstein, before the move, the clock waits for a delay time and then subtracts from the player’s remaining time, but the time is not accumulated. This is called ‘sudden death control’. There is no delay or increment allowance. This is used in games where the amount of time used can be subtracted from the players’ final score. Here, a time is set to a specified amount. 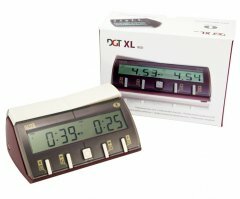 If a player uses, say, five seconds less from the amount, five seconds is then deducted from his opponent’s time. All time control methods make for highly disciplined playing for both players and are a great motivator for concentrating the mind. Speed, or ‘blitz’ chess is a fun way to improve your game alongside longer games where you take time to carefully consider your moves. 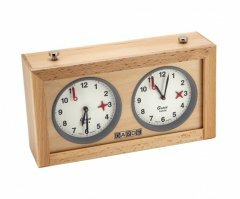 Once a player has mastered the rudiments of chess and has begun to study and analyse classic moves, it could be time to invest in a chess clock to up the game to a higher level; and remember, a shorter game makes time for more games.